The food combining system, logically evolved from the study of gastric physiology and the actions of enzymes and digestive juices. 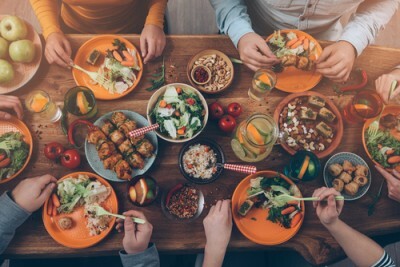 Hygienic food selection and the principles or food combining are based on the nutritional needs of humans and the limitations of our digestive systems. It is not what we eat, but what we digest and assimilate, that determines the nourishment our bodies receive. Food combining is based on the discovery that certain combinations of food may be digested with greater ease and efficiency than others.